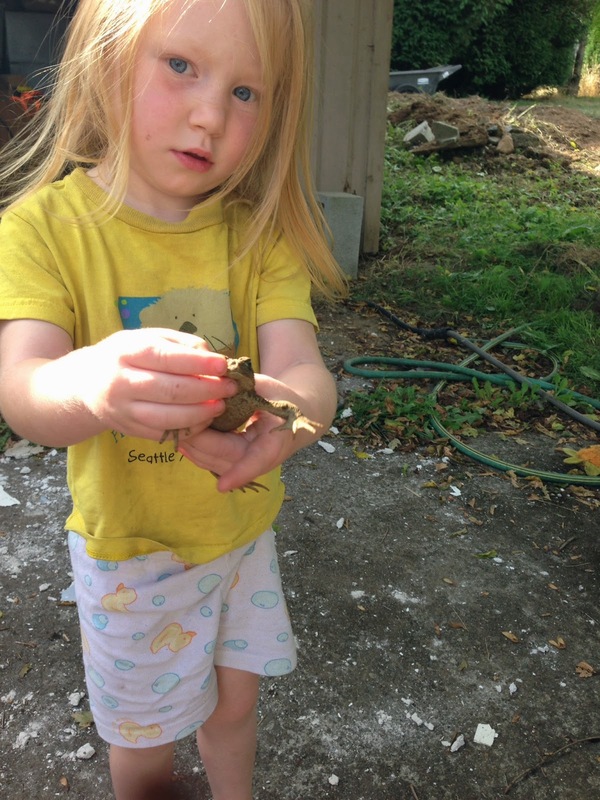 This post is brought to you by Scout... and the huge toad we found for her today. Just because. We did some quality yard work this morning and are now all relaxing and enjoying the last few days before our life feels crazy again. This story was a good reminder, one I feel often. Don't stop talking about those who have passed. Memories of them are all we have; share those memories and those random thoughts with other people. I love when someone, anyone, mentions Josh...no matter how small, it always makes me smile to know that others still think of him. Loved this post on decorating. And being okay with how long it takes, the imperfections along the way. This is us all the way around; changing our home to fit our needs one little step at a time. I know this post went around for a while, oh like two months back. I sat on this link for a long time, not sure what I wanted to say about it. And I'm still not sure what I want to say about it. Except this: We started using WIC (the Special Supplemental Nutrition Program for Women, Infants and Children) after Elena was born and I went on maternity leave. And we will continue to qualify for those services (supplemented food) through February of next year. We go through a variety of emotions including feeling guilty for using the services when I could have gone back to work earlier, Andrew could have found full-time work, or we could have held off on finishing our remodel. We (probably) could have gotten by without the free (to us) milk, cheese, eggs, and cereal every month. But ultimately, despite the guilt and weirdness we feel about using government assistance, we (I) decided that the benefits to our grocery budget were worth the weirdness, we spend most of our life paying into programs like this, and that this program will help us come out of this maternity leave without being quite as stressed financially. So we do it. And there is some weirdness every time we use those checks at the grocery store.